Sales positions may offer a basic salary of £15,000, with OTE of £20,000 to £30,000. Clerical and office administrative roles offer median salaries of £14,000. Underwriters and technicians with experience should be seeking £18,000 to £20,000 or more, depending on the level of experience and the particular market. Insurance is a business dedicated to cover expenses related to potential money loss, offering financial protection for a small fee. Inside this area there are insurance Brokers, Financial Advisers, Insurance Underwriters, among other job placements. They check if an insurance proposal is acceptable, arrange insurance plans for clients or conduct financial investigations. • Advising suitable insurance plan for clients. • Investigating potential fraud cases. • Having good IT skills. • Having competent communication abilities. • Being able to explain complex financial topics. • Having special attention to details. • Having competent math abilities. • Being a leader to manage a staff. • Being able to solve problems creatively and logically. There is a wide variety of educational options for Insurance business applicants. In most cases it is required to have A levels and a GCSE (A-C) in Math and English as a minimum. For Insurance underwriters it is necessary to have a degree with numeracy subjects. Insurance broker requires a degree related to business and math, and financial adviser needs a degree related to scientific matters. For more information, The Chartered Institute is the leading center for insurance business, including several courses for that area. Overview According to our data, these are the percent of job offers for insurance. Companies According to our data, by number of offers, these are the top companies that are hiring for insurance. Job Types According to our data, in percentages, these are the top job types available for insurance. Categories According to our data, by number of offers, these are the most popular categories for insurance. Cities According to our data, by number of offers, these are the top locations to get hired for insurance. 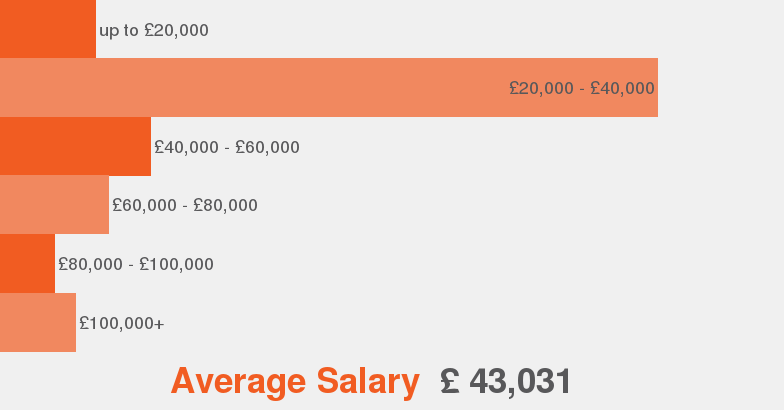 Salaries According to our data this is the average salary range offered for insurance.